An extensive collection of resources to use when compiling a range of learning at home tasks. Homework gives students opportunities to explore concepts at home which have been covered in class. Engaging homework basket activities can also encourage students to explore new ways of thinking away from the classroom. 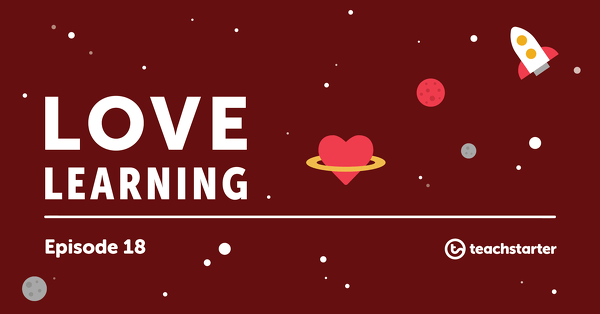 Resources in this collection involve a variety of learning areas for all ages. A fun, hands-on Christmas activity using dice and a chart to create a gingerbread house drawing. A puzzle using hour, half hour and quarter time. A set of 32 activity task cards that require students to complete subtraction problems and colour in a hundreds chart to reveal a mystery picture. 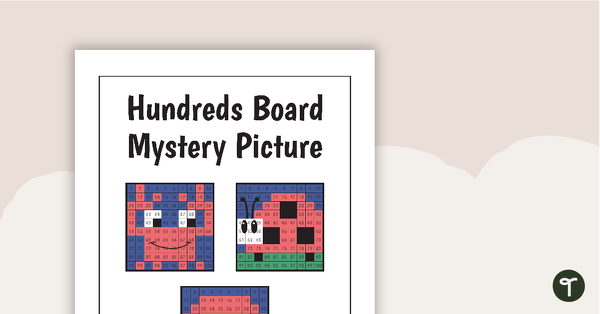 A set of 32 activity task cards that require students to complete multiplication problems and colour in a hundreds chart to reveal a mystery picture. A set of 32 activity task cards that require students to complete division problems and colour in a hundreds chart to reveal a mystery picture. 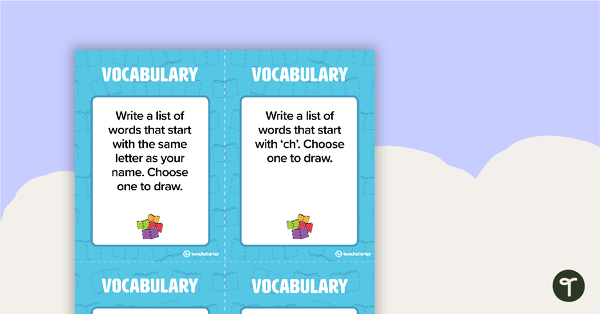 Twenty addition and subtraction word problem cards for middle primary. 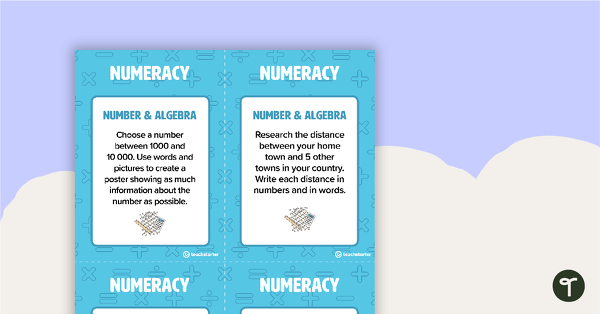 An editable matrix of over 100 homework activities linked to the Australian Curriculum for a range of learning areas. 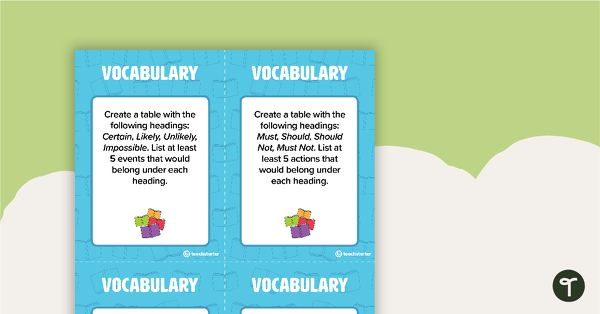 Use this editable template to inform parents of what homework will look like in your classroom. Feeling pulled between providing meaningful homework and simply sending home more worksheets? 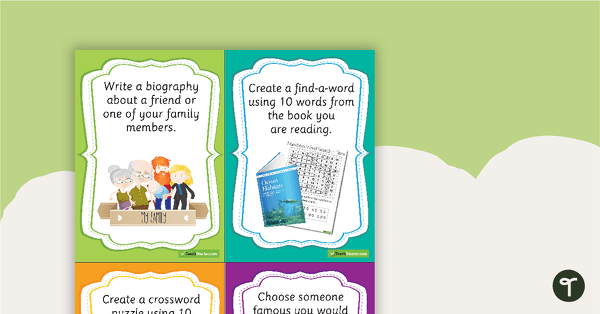 You need these homework ideas, activities and resources! 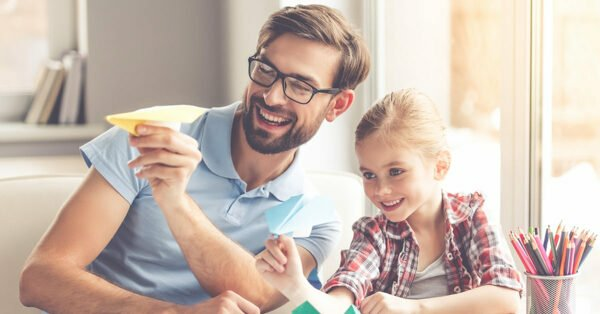 Why Take an Alternative Approach to Traditional Homework? 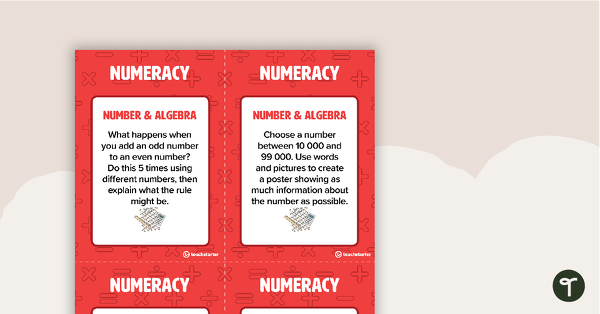 Find out why our printable homework resources look different to traditional homework sheets and how you can embrace this alternative homework approach.